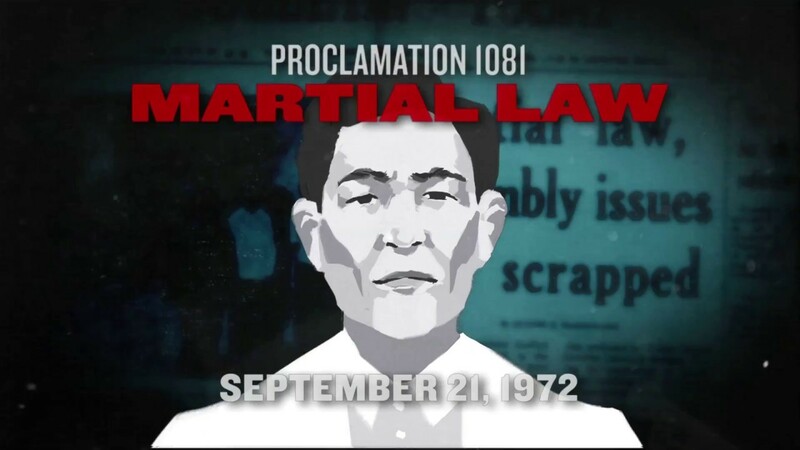 A short video entitled “Proclamation 1081: Martial Law” explains the Martial Law during the Marcos regime. It shows how the Philippines was stated under Martial Law that results to nationwide terror and chaos. It also shows how Marcos planned it all to stay his power over the Philippines. Thousands of Filipinos were arrested, abused, tortured and killed to control all the activities of each and every Filipino. The poor, the rich, young and old, men and women, professionals and politicians, religious groups, large and small businesses, and even media are all controlled by the Marcos dictatorship. All government agencies, institutes, and the judiciary systems are all under the Marcos government. The Military watched every Filipino’s activity and media are not allowed to report the actual events that are happening in the whole country. Martial Law has all the power to take all the freedom that we should always have.